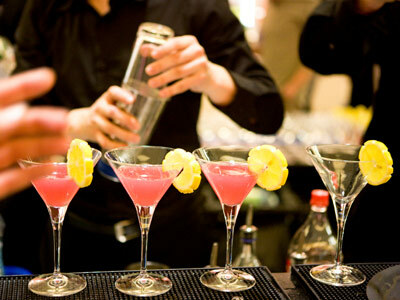 Our team is providing by popular demand a cocktail making event service. 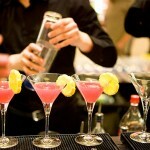 These courses are great fun and provide you with an education into cocktail making. Our Cocktail making course, are available nationwide. Our cocktail making courses are very popular with hen parties, corporate and social eventsand other events such as birthdays. Our cocktail making courses generally last for 2 hours with various activities involved. We will come to your venue and set up our bar for your event rather than asking you to come to a certain location. This is very popular as you can stay in your own home, or even a hotel room with their permission! An introductory cocktail made by our mixologists for each member of the group. A tutorial by our mixologists on how to make the cocktails including techniques with the equipment. Our mixologists will create a couple of the favourite cocktails to show the group how to make them and also try them (these are passed around for the group to drink). The mixologists will assist the group in creating their cocktails. These can be their favourite cocktail or their own flavours. Each guest will make around 2-3 cocktails each during this session. We will split the group into teams to have a competition on who can create the best cocktail using the ingredients available. The mixologists will guide each group for the ingredients and techniques for the cocktails. Our mixologists will then judge the cocktails at the end to decide the winning team. The winners will receive special cocktail shots made by the mixologists. The losing team will receive a cocktail shot which doesn’t taste as nice!! The cocktail course is great fun and a great way to drink your favourite cocktails. After the course you will have the know-how to recreate your drinks in the future (if you can remember the next day that is!). Bar structures and bar tables. All alcohol and mixers needed. All sundries (napkins, straws, stirrers etc). All cocktail glass decorations (fruit, umbrellas). 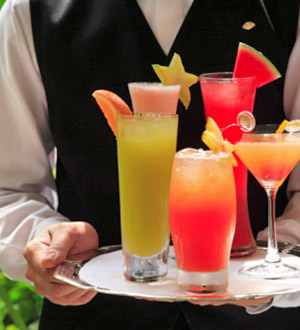 Full Cocktail Bar Service – We come to you. 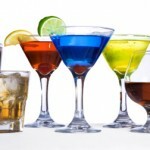 Perhaps you are just looking for a cocktail bar at your party or event and would prefer our mixologists to create the cocktails for you and your guests? Well, we also offer a full cocktail bar service. This means we supply everything that is needed for the bar (including the drinks! 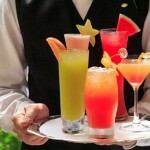 ), and our staff will create the cocktails for you and your guests enjoyment, so you don’t have to worry about a thing! 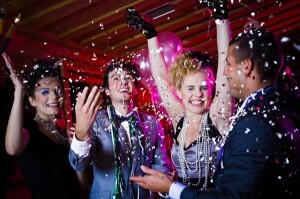 This can really add an extra level of sophistication to your party! 1 or 2 qualified mixologists. 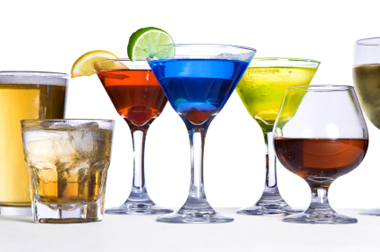 All glassware or disposable glasses dependant on the requirements. All cocktail making equipment such as shakers, strainers, muddlers and pourers. All sundries such as napkins, straws and stirrers. All cocktail glass decorations such as fruit. This is our complete cocktail bar service which means we will supply everything for the event. There are no other costs involved. The prices to the right include all the above, staffing costs and staff travel costs and are a fully inclusive price per person (inc VAT) based on 15+ people.